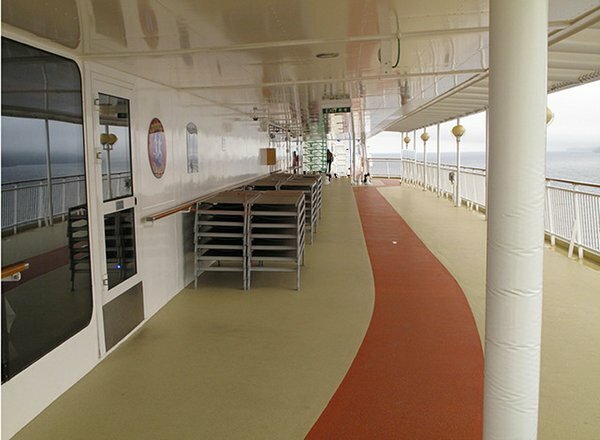 Deck 15 features the private lounge and sundecks for category S1, the private sundecks for categories S4, and S5, as well as the freestyle sundeck. 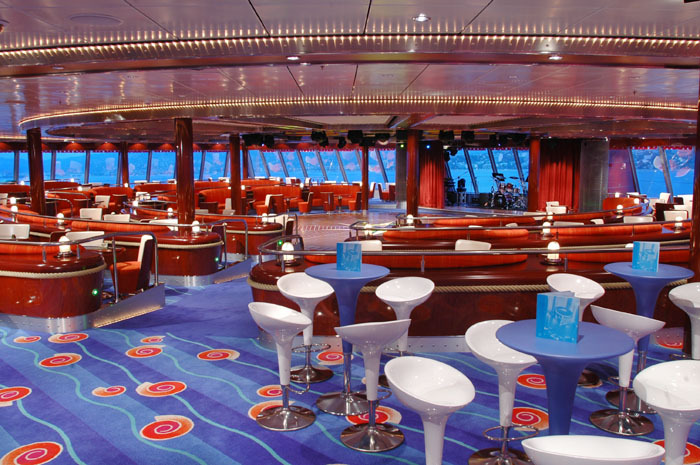 Deck 14 features suites in categories S1, S4, and S5. 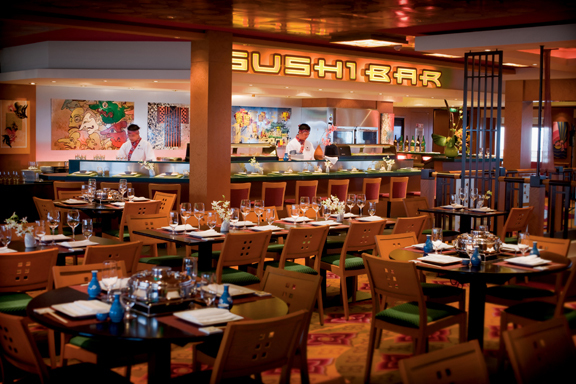 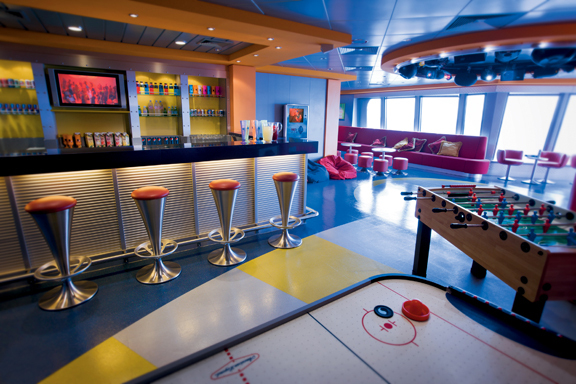 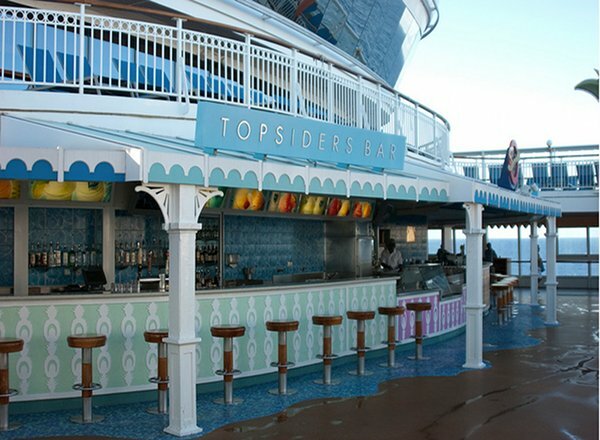 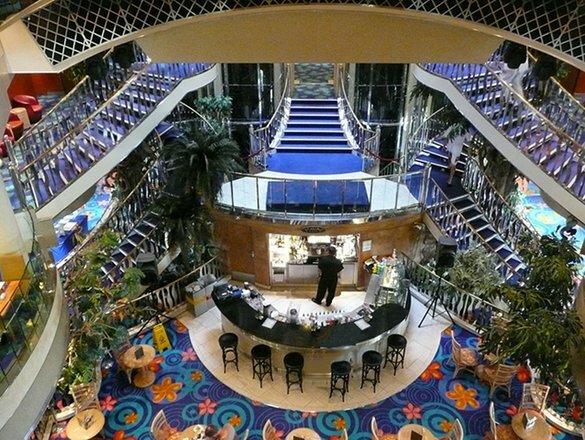 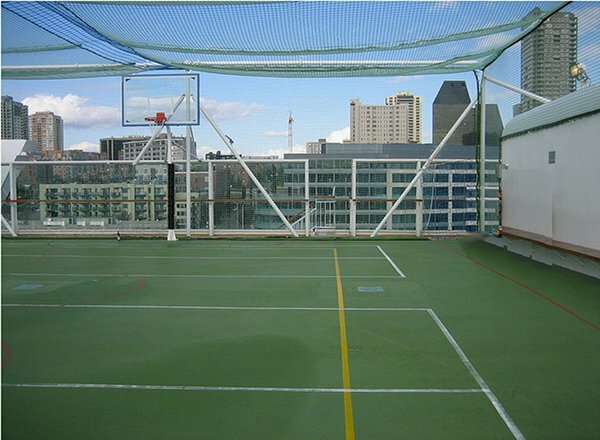 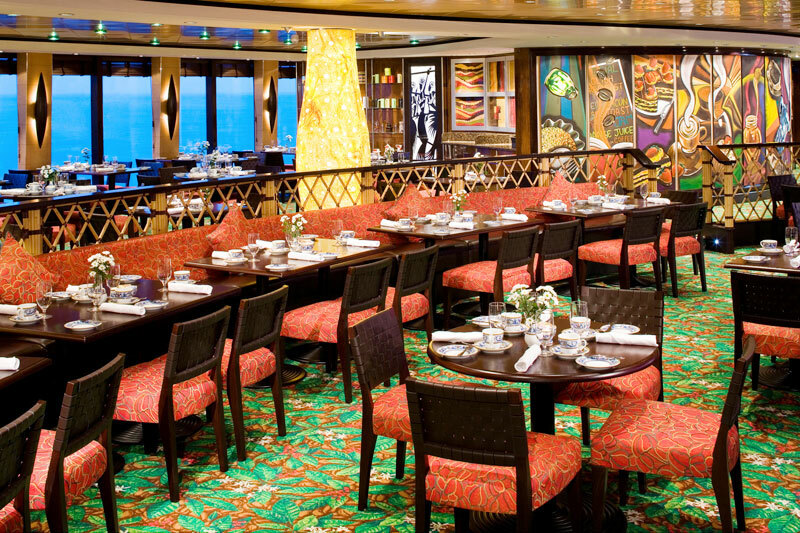 Deck 13 features Spinnaker Lounge, Sky High Bar, Cagney's Steakhouse, Star Bar, the jogging track, and the sports deck. 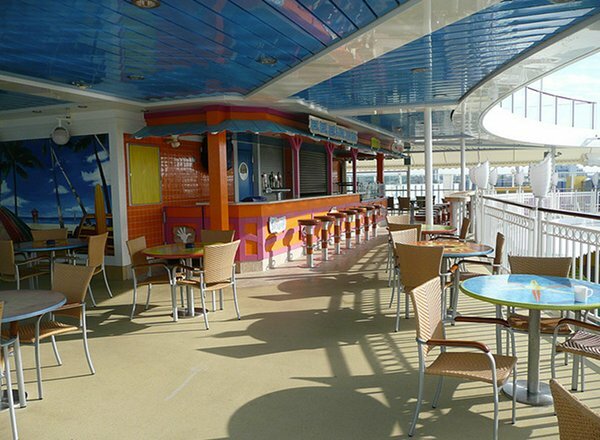 Deck 12 features Bora Bora Health Spa & Beauty Salon, Body Waves Fitness Center, Sapphire Pools, the kids' pool, Topsiders Bar, The Grill, Splashdown Kids' Club, the kids' PC world library, Kids' Cafe, Club Underground, Garden Cafe, Mama's Italian Kitchen, The Great Outdoors, an ice cream bar, video arcade, and a card room. 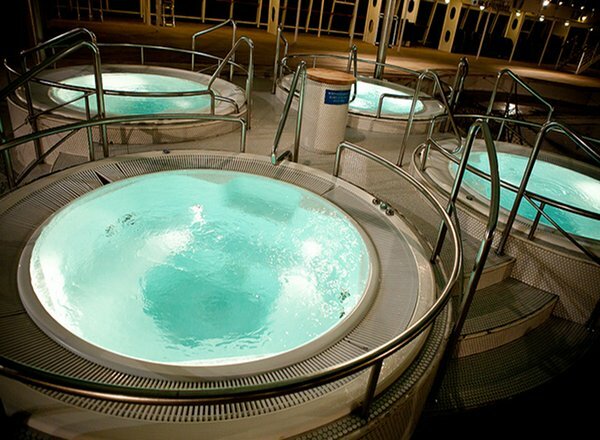 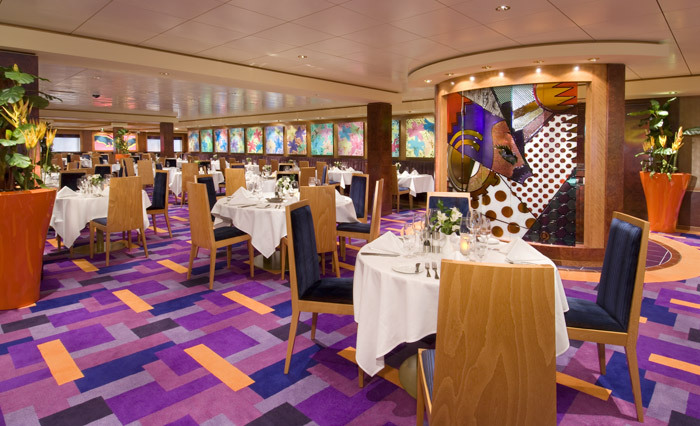 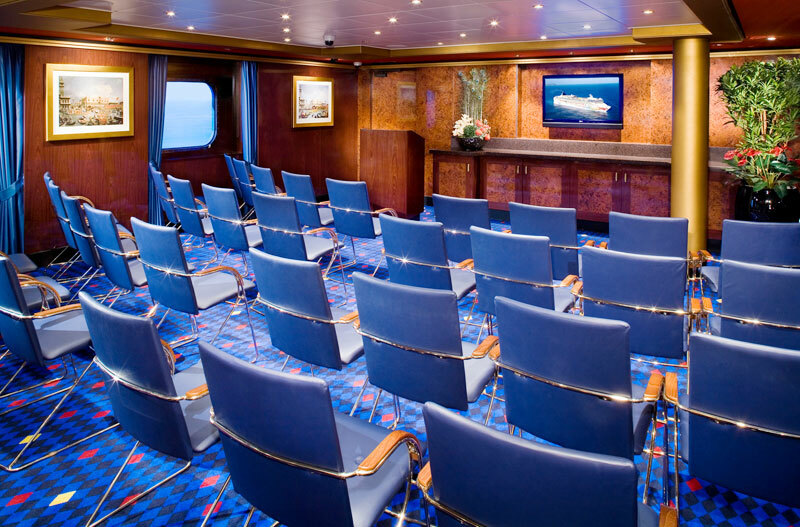 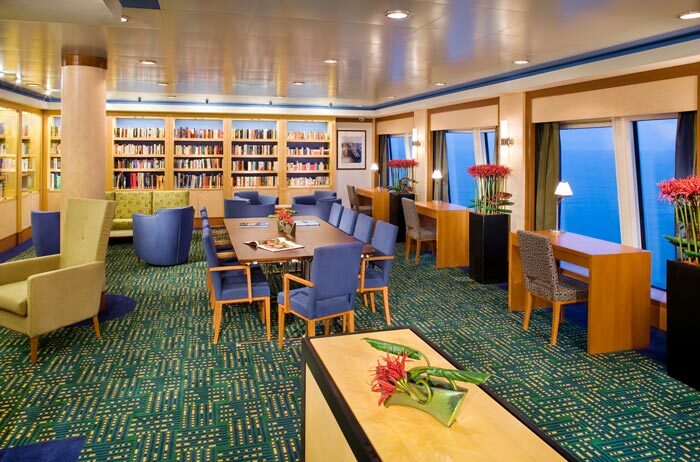 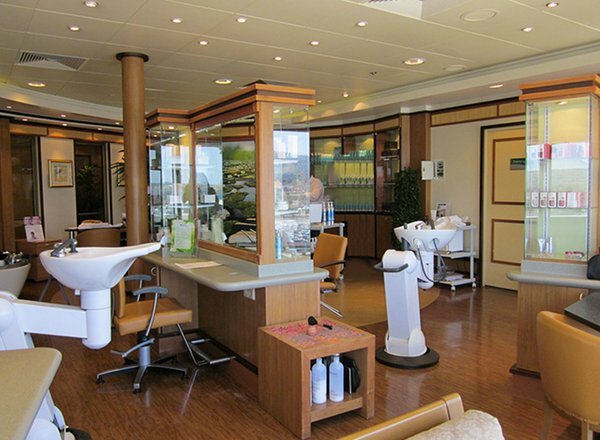 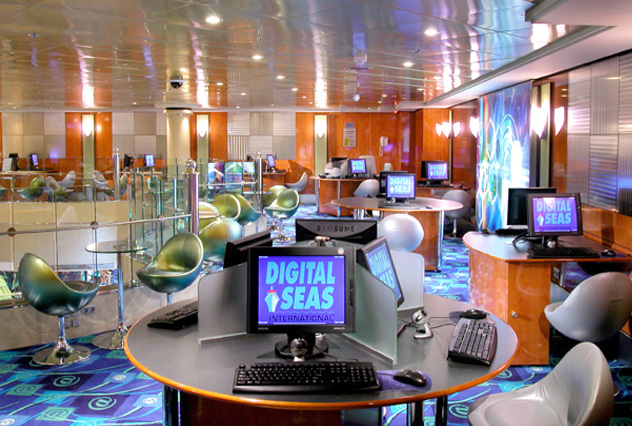 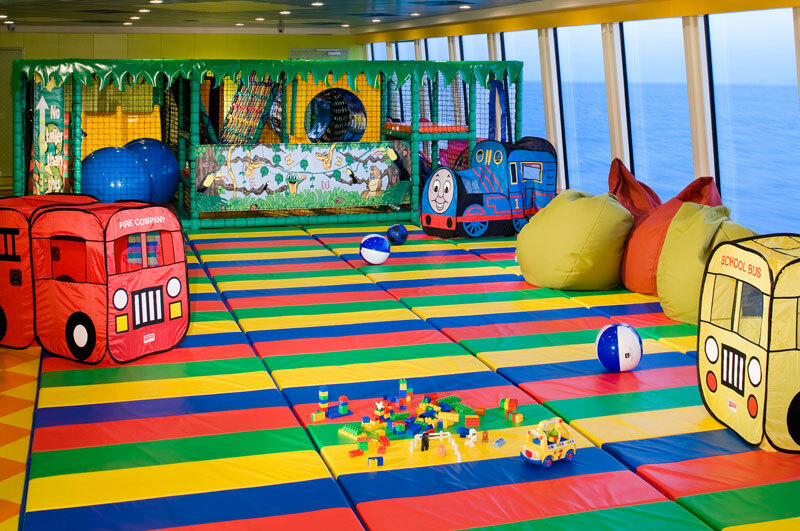 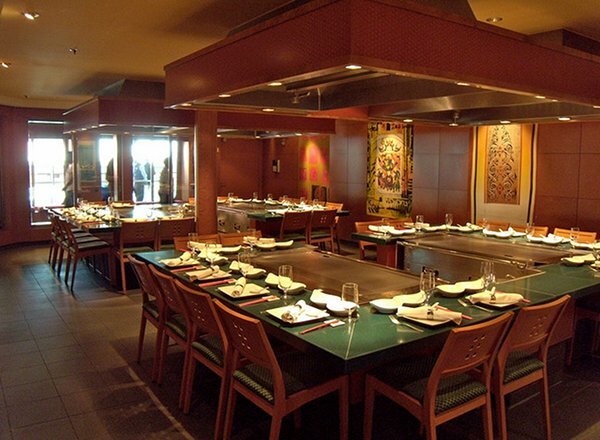 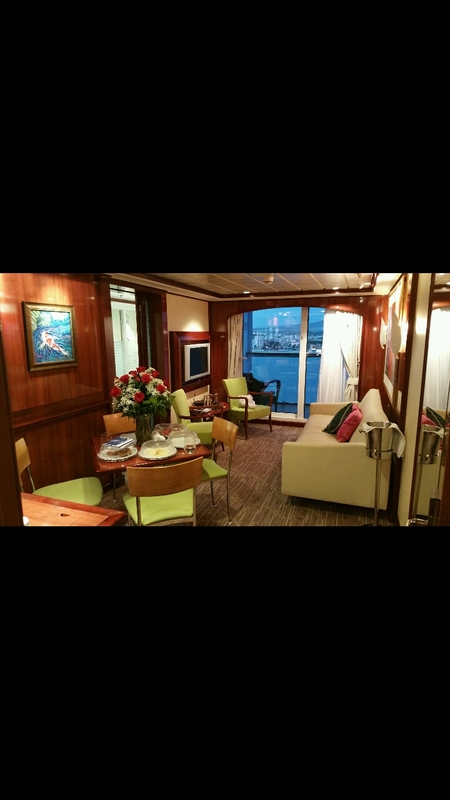 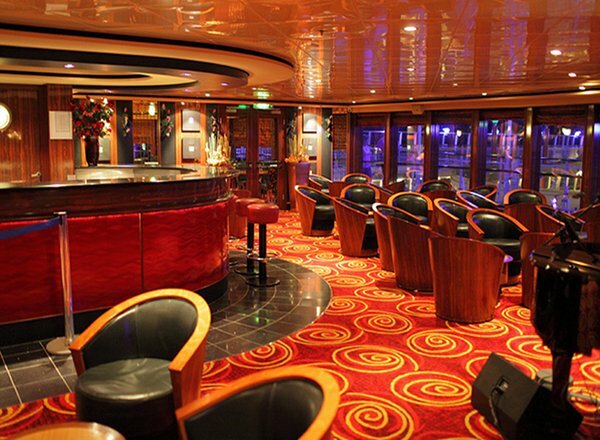 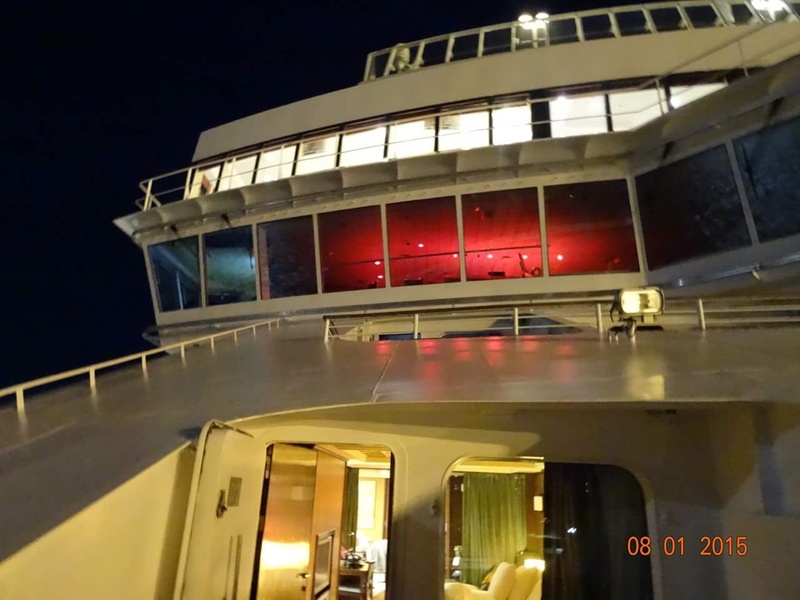 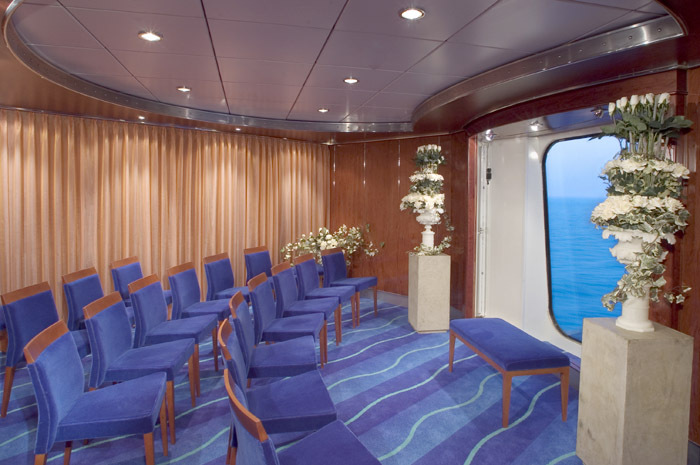 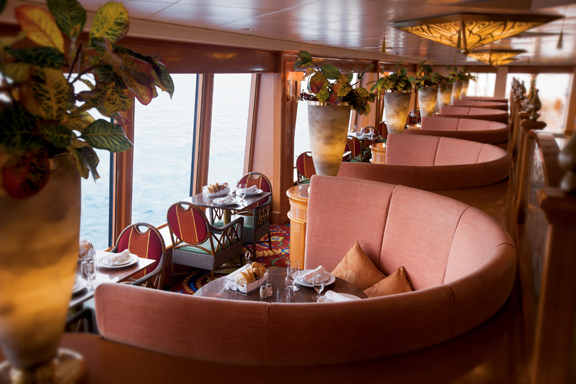 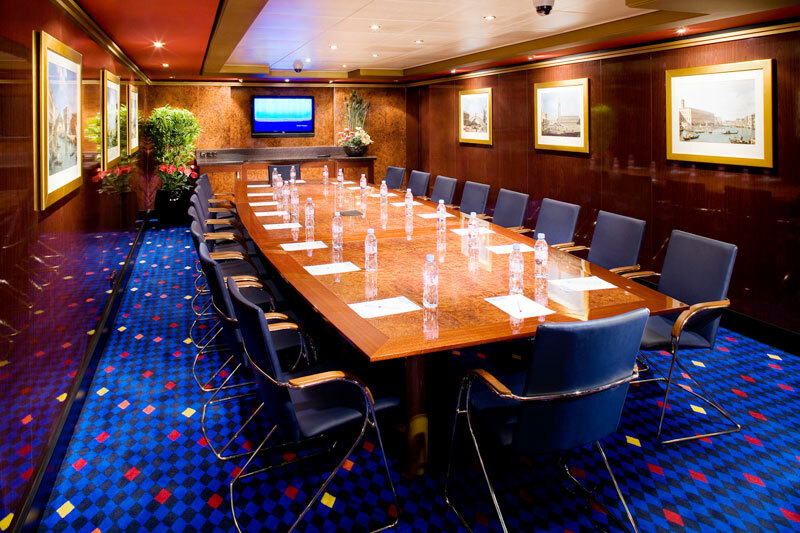 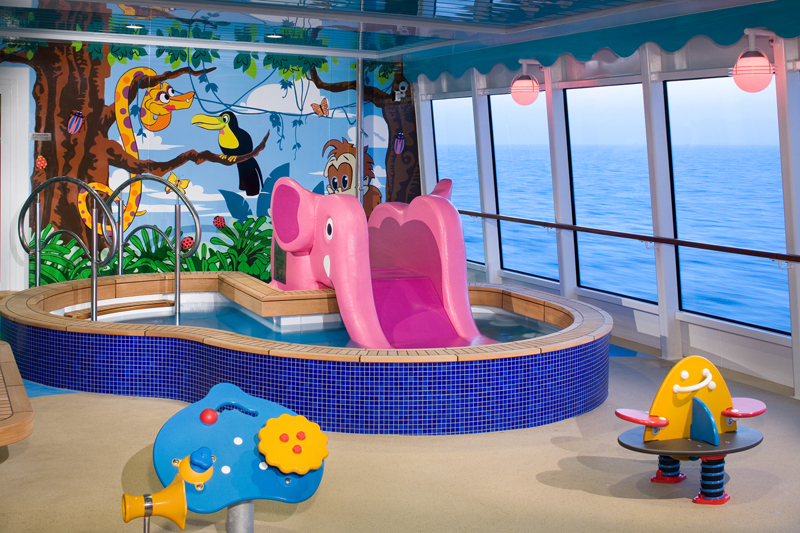 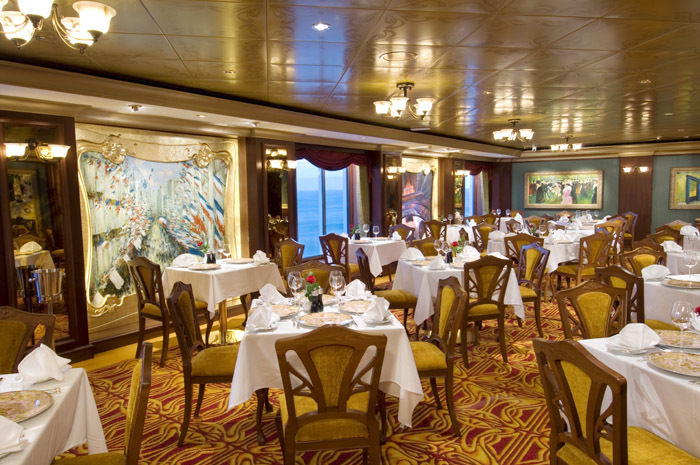 Deck 11 features staterooms in categories SC, M1, MA, MB, MX, I1, IA, and IC. 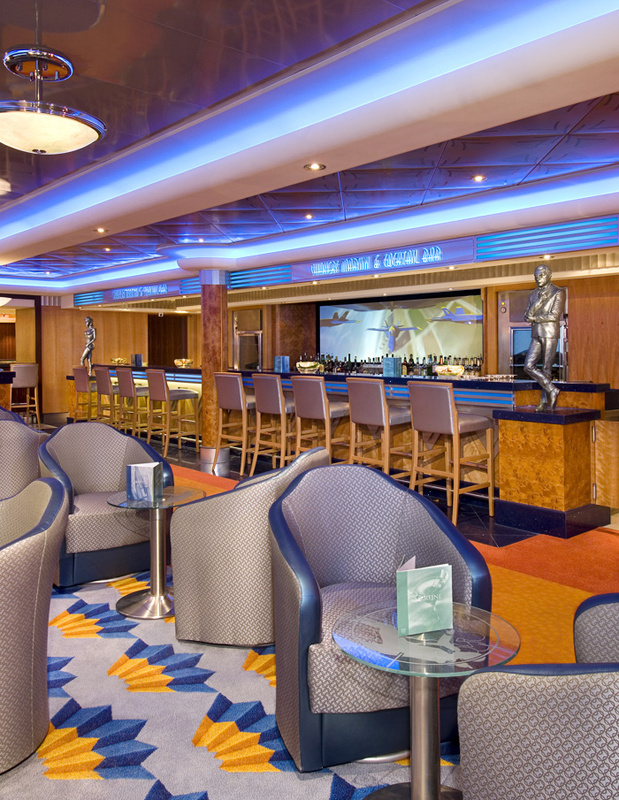 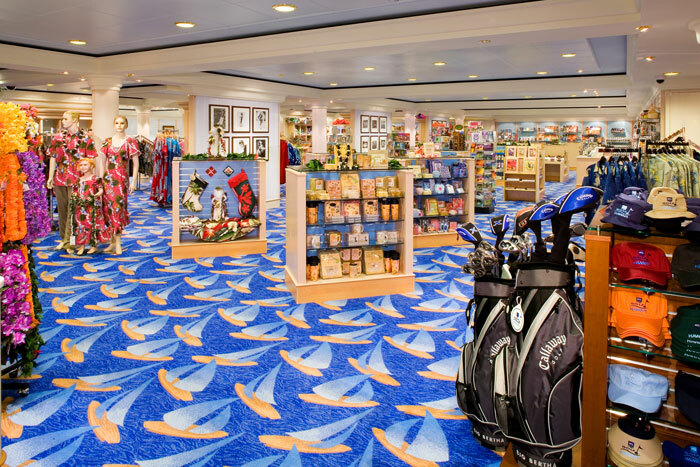 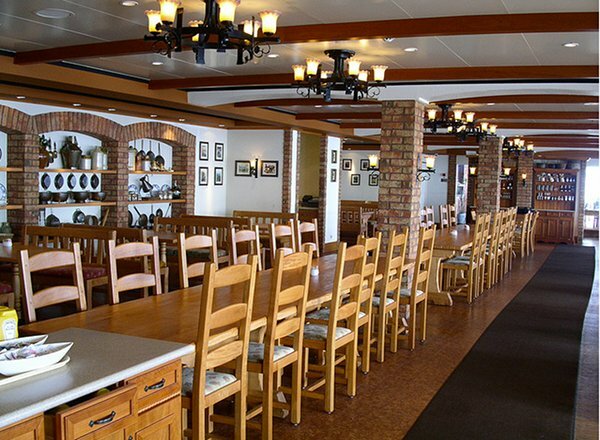 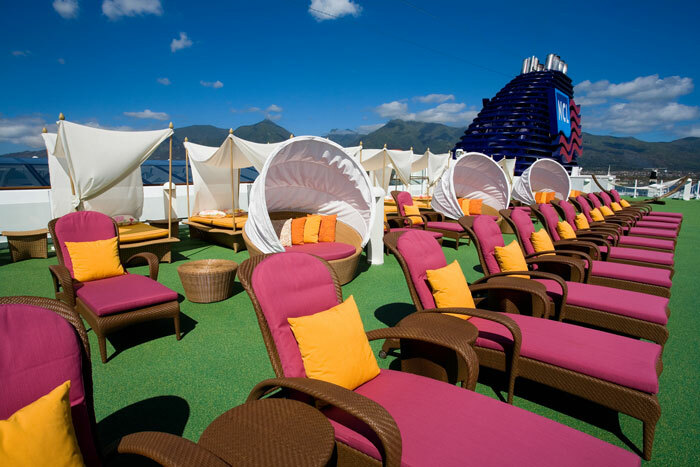 Deck 8 features staterooms in categories SF, B1, B3, BD, BX, OA, OK, OX, I1, IB, and ID, as well as Blue Lagoon, Tango's, and Tapas Restaurant. 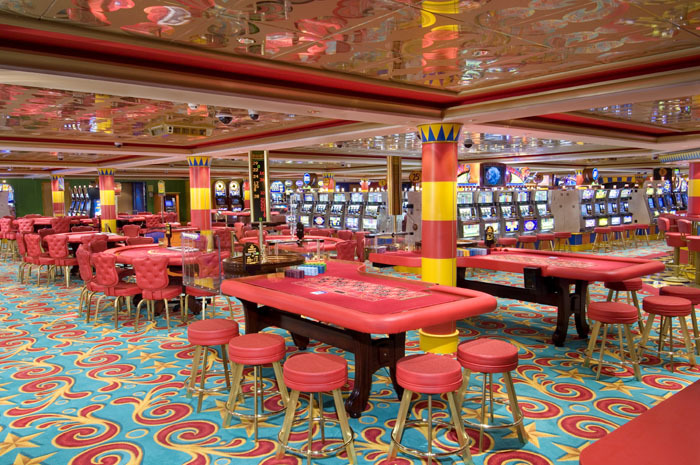 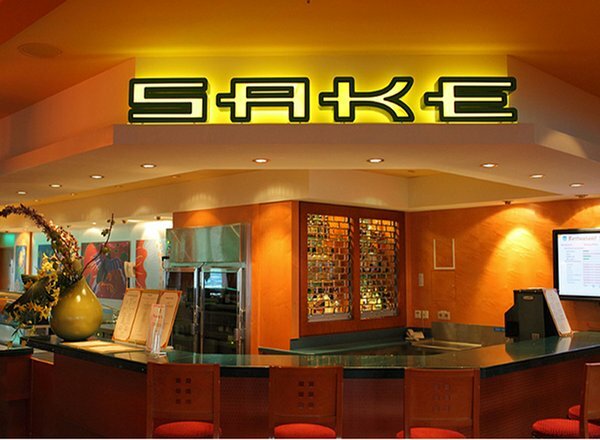 Deck 7 features Stardust Theatre (upper level), FYZZ Lounge & Bar, Chin Chin Asian Restaurant, Java Cafe, Crystal Atrium, art and photo galleries, Galleria Shops, and the Internet cafe. 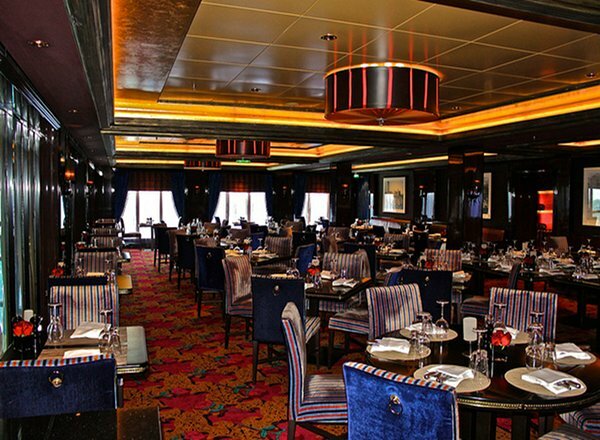 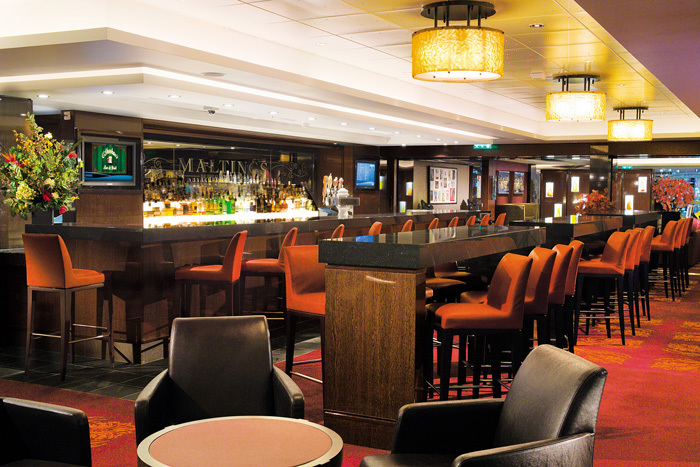 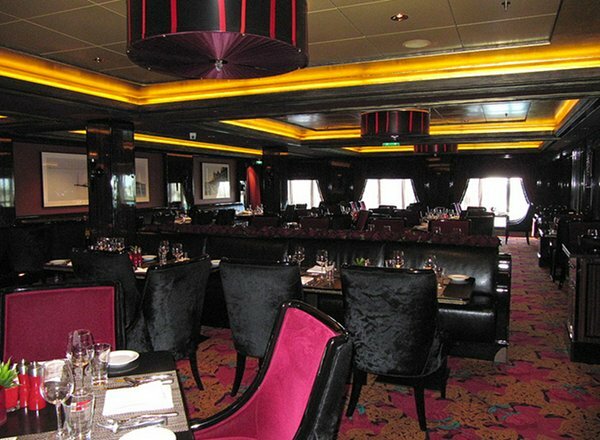 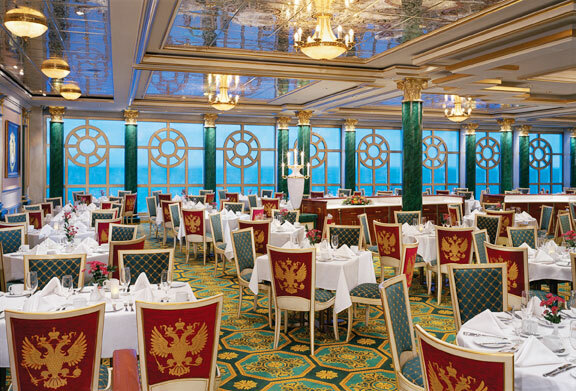 Deck 6 features Stardust Theatre (mid level), Jewel Club Casino, Le Bistro French Restaurant, Corona Cigar Club, Magnum's Champagne & Wine Bar, Shakers Martini & Cocktail Bar, Maltings Beer & Whiskey Bar, Azura Restaurant, and Tsar's Palace Restaurant. 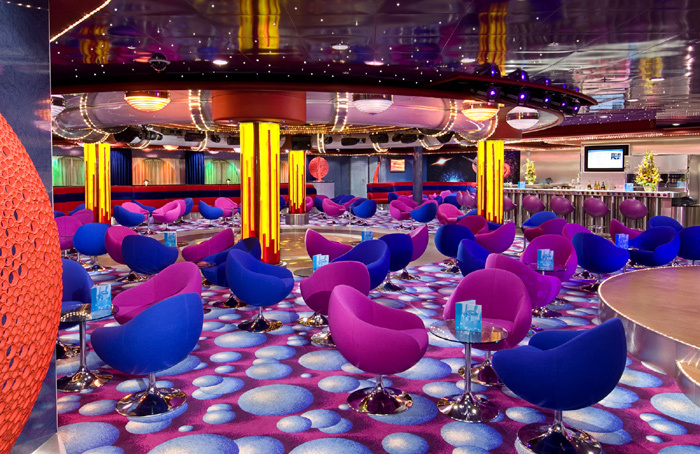 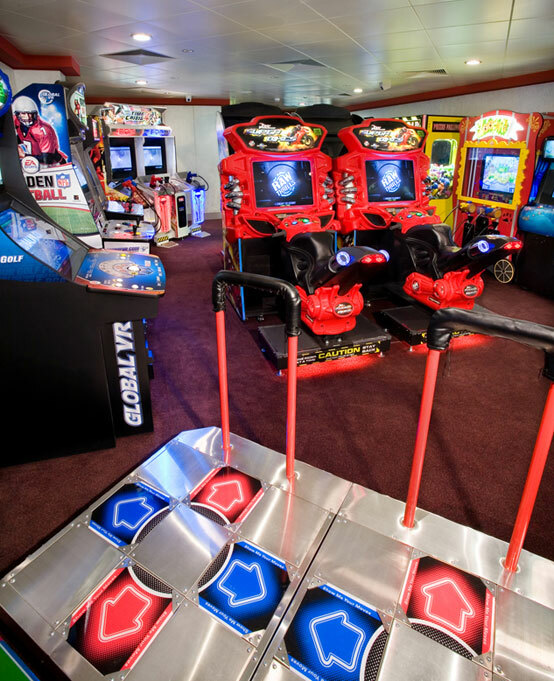 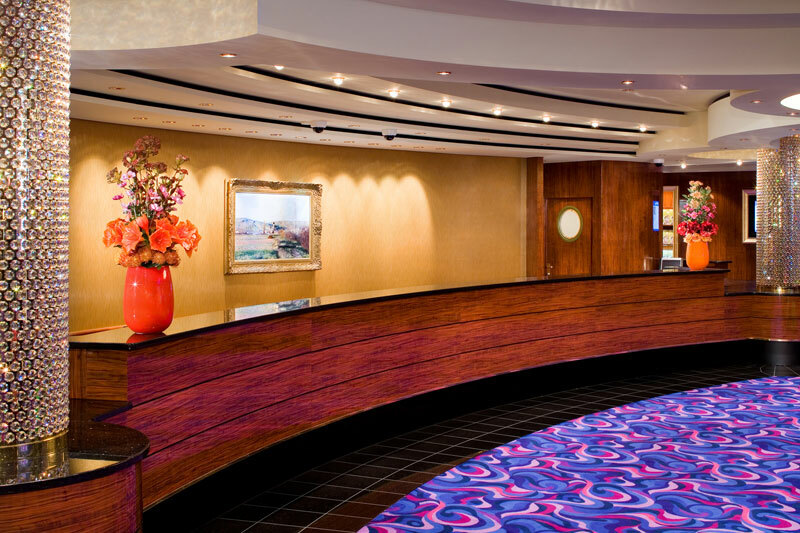 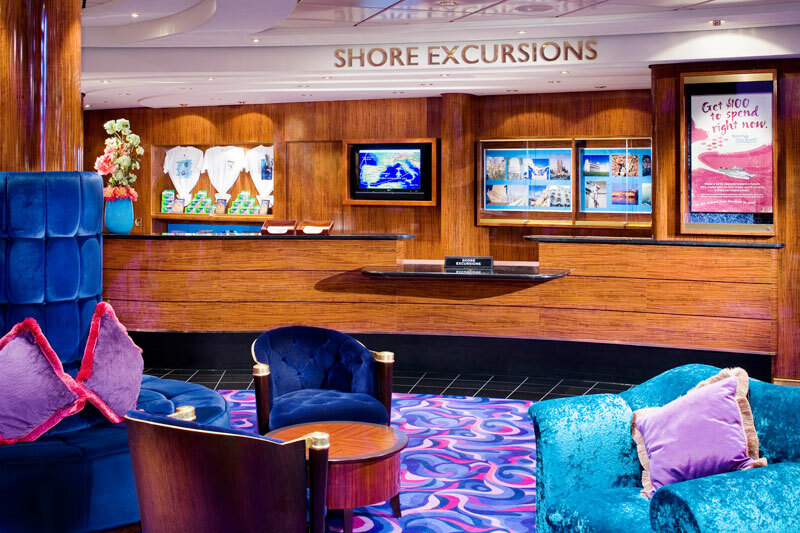 Deck 5 features staterooms in categories O1, OB, OC, OF, OG, IE, and IF, as well as Stardust Theatre (lower level).